There’s no doubt that innovation in IT can help the industry drive revenue and offer more customer centric offers. 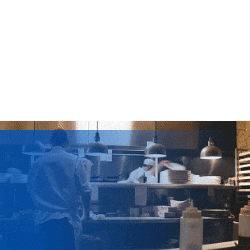 However, due to the challenges such as data silos and legacy systems, the hospitality industry is hindered from advancing and taking advantage of its most valuable resource - data. While there is a lot of existing innovation from a technology perspective in companies and startups that are building new applications and software, as highlighted by Pillau, the integration of legacy systems with such technology is not that easy and is very costly. Changing the mindset about technology and innovation is one of the biggest challenges in the industry. “We look at technology as an afterthought,” said Worthington. “It needs to be thought in a different way - here is a problem I have in my system, I need to find the technology to solve it - instead of the current way of thinking - this is the system that everyone is using, it should work the same for me,” he said. One of the ways to leverage the usage of your legacy system is to take advantage of the data available. While opportunities for easy data extraction and analysis are not readily available and limited with the legacy systems, hotels can find alternative methods by investing in data scientists who are dedicated to data analysis, for example. “If you want to have some fun, speak to a data scientist who has never worked in your industry and get them to look at your systems and what you’ve been doing. The questions you will receive are almost mind-blowing because someone with that expertise and knowledge will come in and challenge you to the point of saying 'This is kind of silly. Why are we doing it this way?' I encourage you to find a data scientist and spend a day with them,” suggested Booth. It’s not an easy decision to change your core operational systems, especially when it comes to bigger hotel chains, but we should keep in mind that, regardless of extra costs and time, the change of the PMS and other systems gives the opportunity to review and improve things, mentioned Pillau. In the hospitality industry, data is generated throughout the entire customer journey, but if it’s not properly collected and stored this leads to the issue of unused or lost data that restricts hotels from getting valuable customers insights. 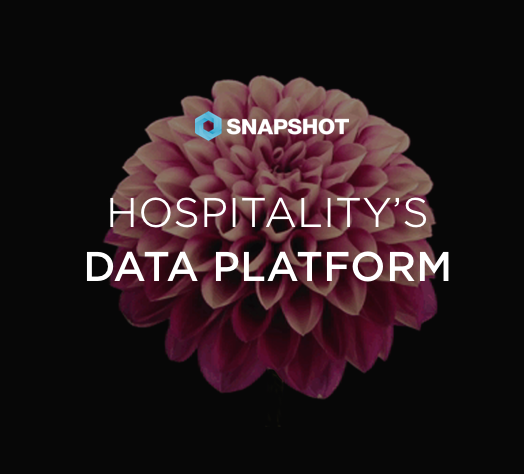 Unused data is one of the biggest obstacles that the hospitality industry must overcome, and technology is the key to accomplish this. Tech titans like Apple, Amazon, Google, and Facebook, have paved the way for the tech industry and continue to do so today. Tech titans are not only dominating control of information, but also see data as their product. With advanced technology solutions, these tech titans can control devices and the customer search experience, creating the risk that they can own your customer too. “Everyone saw that Google moved recently into the hotel space, and there’s a real risk of commoditization of the brand experience when Amazon moves into this space. To buy a room on Amazon, it’s going to be a one-click check-out and you’ll be able to have dynamic pricing and dynamic packaging, etc. That’s a real risk,” said Booth. In order to withstand the risk, the interface problem has to be solved first, mentioned by Worthington, who believes that one of the reasons for the issue of unused data is the big share of manual processes and work in daily operations, which could be automated. This, in turn, generates a negative impact on efficiency and productivity. Revenue management technology can also be used to better calculate and predict customer behavior to develop more strategic pricing scenarios. The issue of moving data across multiple systems developed the need for building dynamic models, which can now be solved by third party providers like data platforms and data solution companies. “You have to co-mingle that data and emancipate that data from source systems as well,” said Booth. “If you try to slam data from one system into another system, it doesn’t co-mingle very nicely, and that’s why we take it to a third party,” he continued. “The question for hoteliers should be, ‘What is the purpose of getting the data out and what do I want to do with the data?’”, commented Pillau. “Just collecting the data is what you’ll be doing forever and that hasn’t really helped. Intelligent business solutions and data solutions, like what SnapShot is doing, will help you figure out what is really the purpose of working with the data and getting it out of your system,” he said. When it comes to future of hotel technology, it’s critical to make sure your hotel’s staff understands the importance of data and has the needed skillset. “There has been an evolution of revenue management to revenue optimization leading to, in most recent times, data science. Before architecting a data strategy, it is essential to have a clear end vision of what is desired to be achieved with that data,” said Booth. “For any single hotel who probably can’t afford a data scientist, there are services available. For a multi-hotel environment, you absolutely need to start thinking about how you’re going to science that data and drive a data -first mindset into your decision-making processes,” he said. The future of integration has endless opportunities as a multi-layered topic with an unlimited reach into innovation. In terms of a quick-fix, the “right answer” to integration is subjective to each organization. However, to summarize in one final line of what the right advice is, each panelist voiced their opinion.